Magento 2 Mass Order Actions is an effective solution to apply actions such as creating invoice/ shipment for mass orders at the same time. 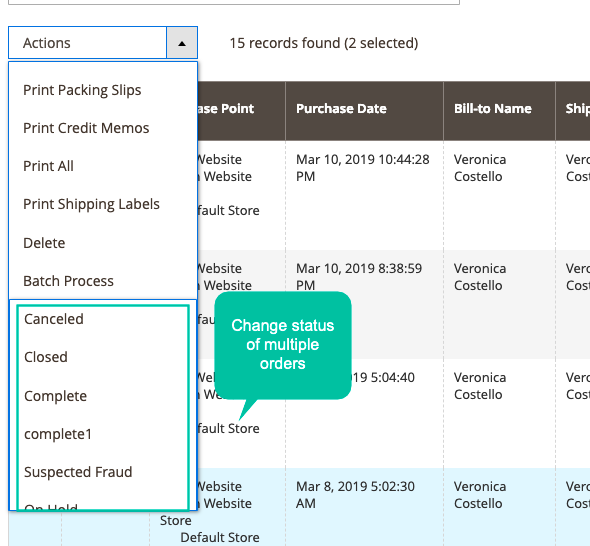 Mass Order Actions helps store admins reduce a lot of workload and improves the workflow at online stores significantly. 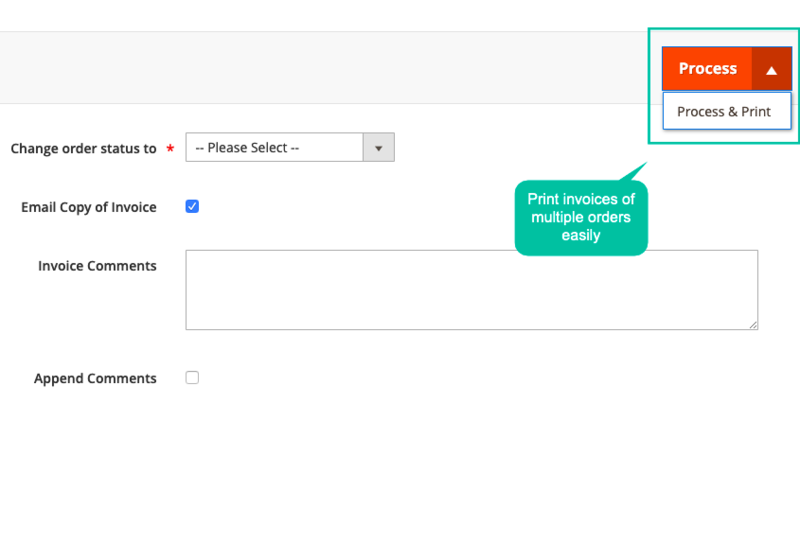 In the Magento 2 Default, store admins only can create invoice or shipment one by one for each order. In the stores with the large number of orders created day by day, this cause time-wasting situation for store admins. And the work process keeps manual and inconvenient. 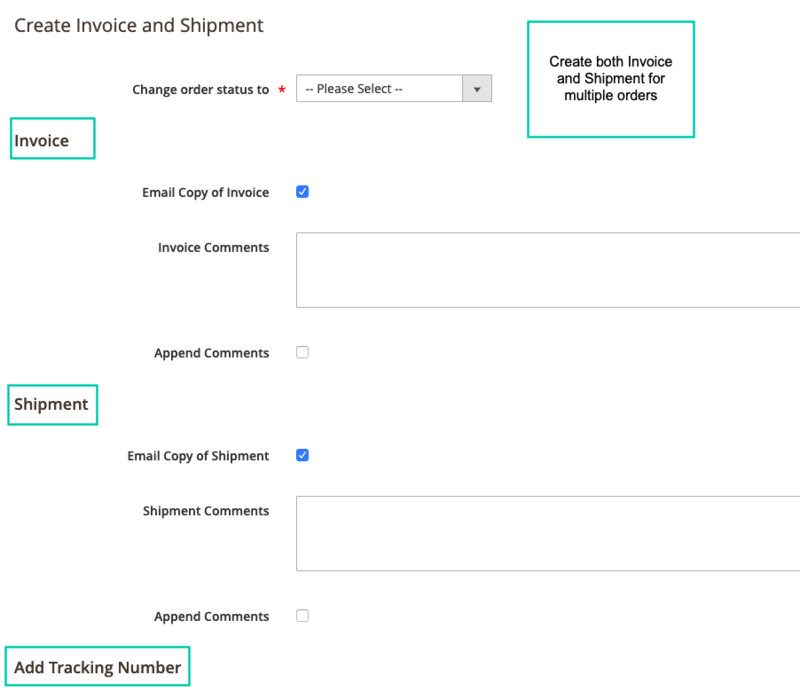 With the orders which admins would like to invoice and ship at the same time, Magento 2 Default does not allow creating invoice and shipment simultaneously. This is another backward issue for online stores. With each action such as creating invoices or shipments, admins will have to leave the Orders grid and be redirected to another page. Taking actions between various pages results in the inconvenience and even confusion during processing orders with the large number. 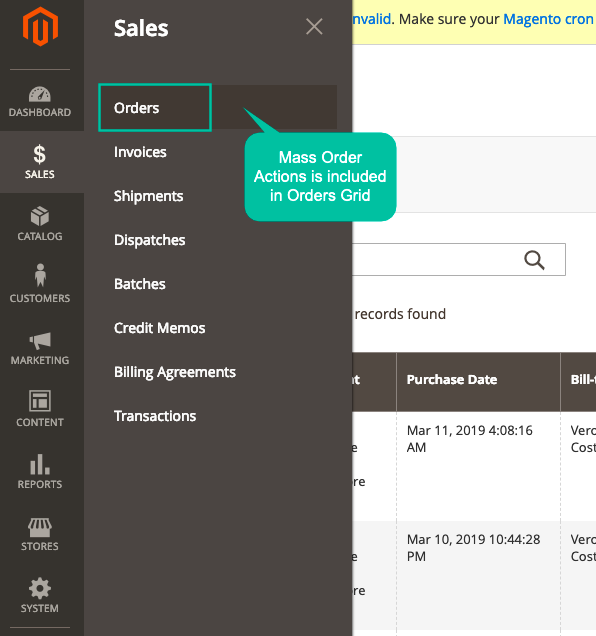 With Mass Order Actions extension for Magneto 2, admins can take the same actions including invoices and shipments to multiple orders at the same time. Magento 2 Mass Order Actions simplifies order workflow effectively because it reduces a large number of repeated actions. Store admins can decrease a lot of workload and feel much more convenience in work. When the process of orders in online stores becomes quickly, it means that the customers will get their products faster. This change will improve customer experience significantly and they are likely to come back to the stores for further purchases next times. 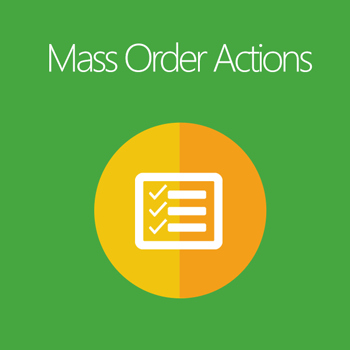 Magento 2 Mass Order Actions decreases store admins’ workload by allowing taking actions on a mass of products at the same time. This helps store admins save a deal of time because they do not update each product one by one. A noticeable feature of Mass Order Actions for Magento 2 is supporting lively pop-up. 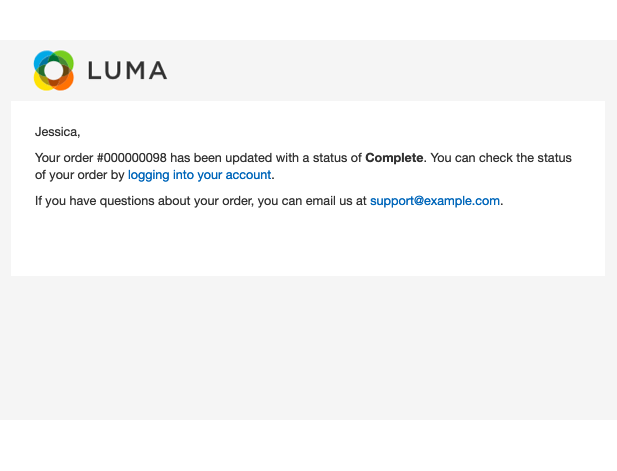 Store admins will be kept on the current page without any redirection to make updates to any orders. 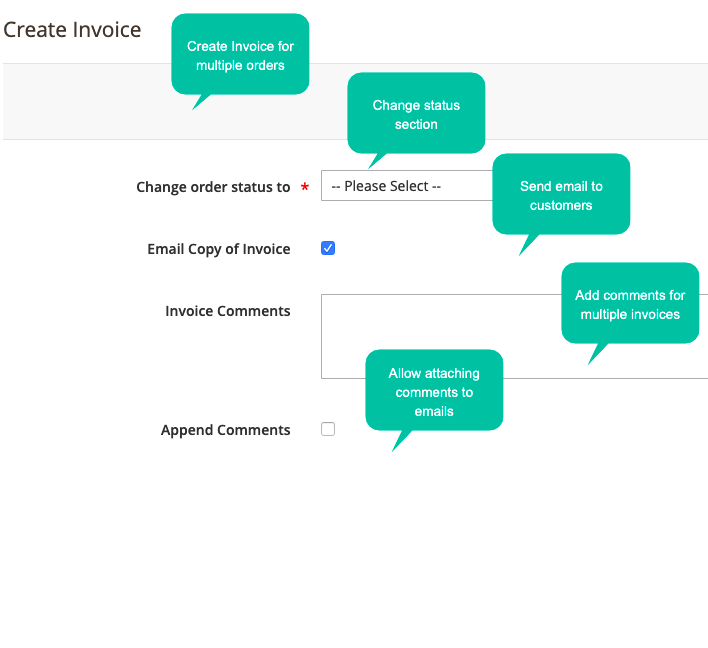 Orders can be processed faster than ever with the action combination of creating invoice and shipment. 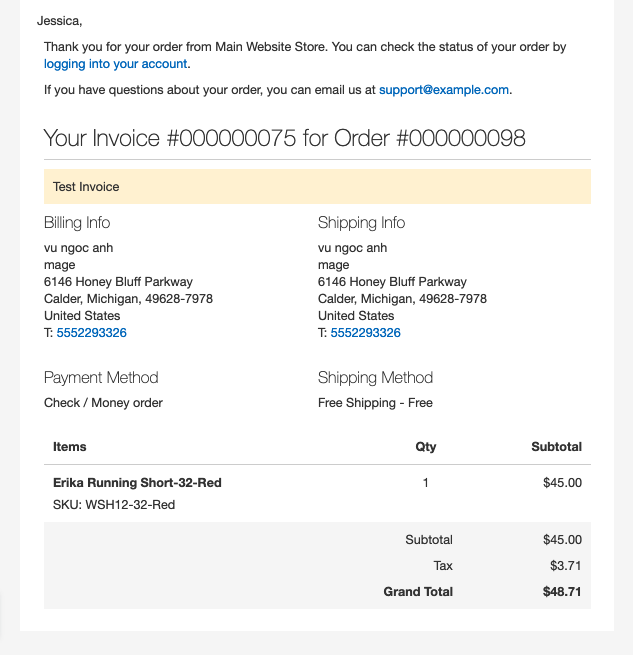 When the store admins would like to invoice and ship orders at the same time, they do not have to apply each action step by step. With the support of the combined action function, store admins’ workload has been lightened significantly. Besides, the orders have been completed quickly, which makes customers satisfied. 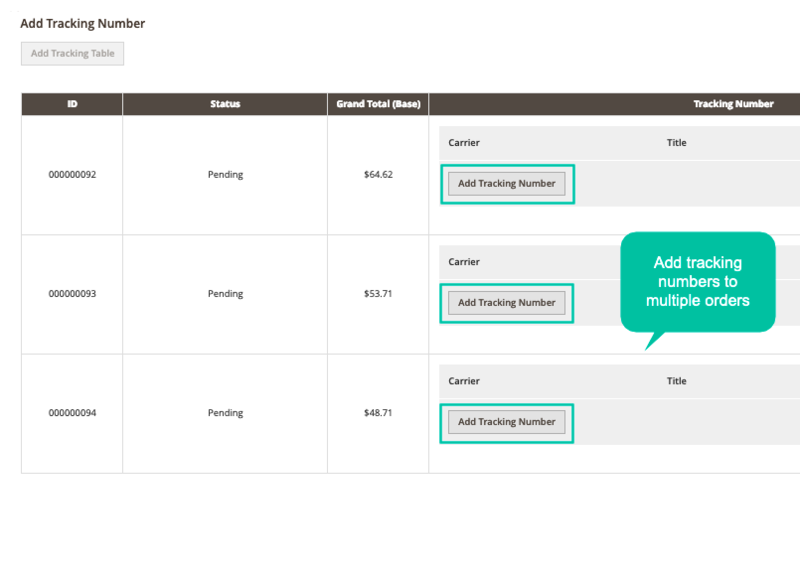 Tracking numbers can be added easily to multiple order shipments at once easily via just one click. 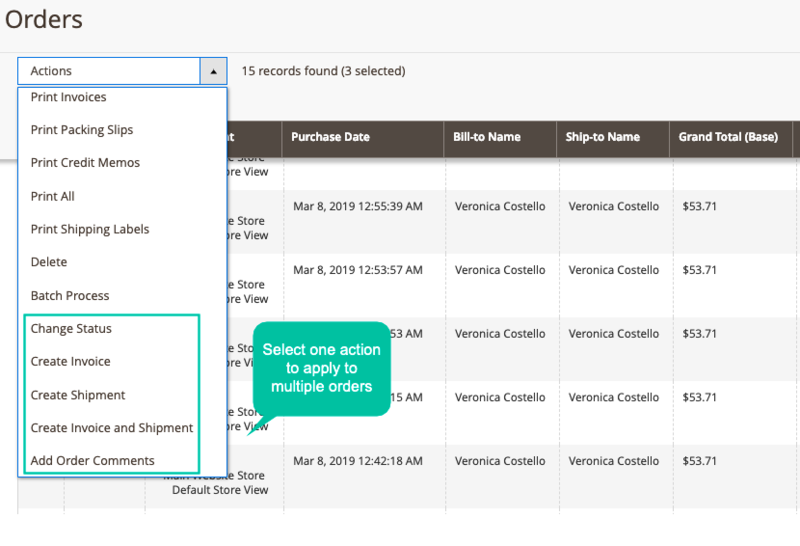 From the admin backend, store admins can select any orders then click to add the tracking numbers at once on the shipments of these orders via some seconds. 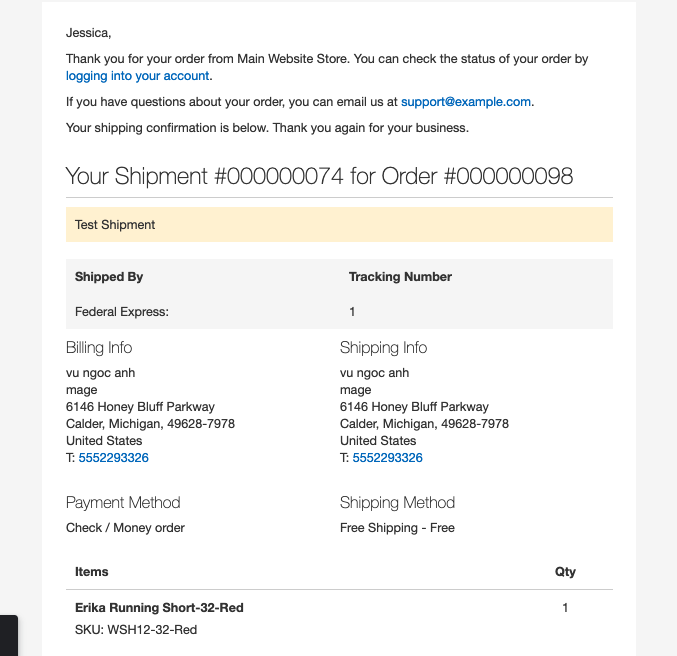 Also, customers now can get the tracking information more via email quickly than ever. 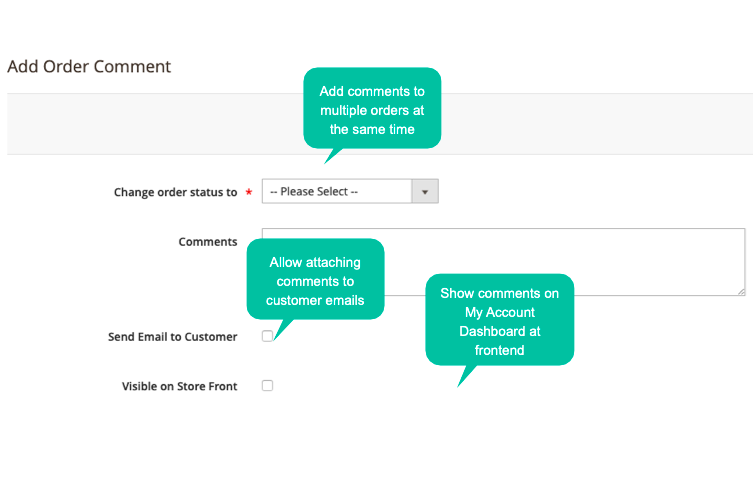 Comments can be added easily on orders, shipment and invoice easily and quickly via Mass Order Actions extension. When customers would like to attach the same messages to invoice or shipment. 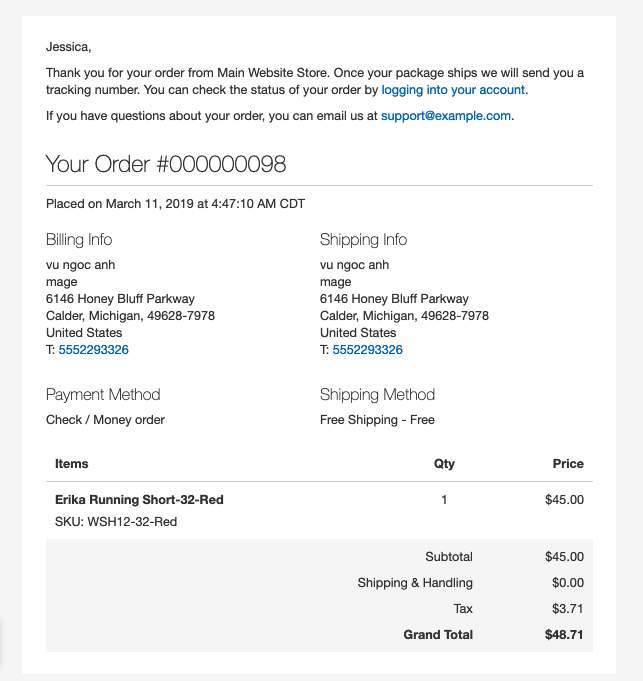 Store admins can print shipments and invoices of various orders quickly via pop-up. filter_drama What are the types of actions can the admins apply to mass orders? 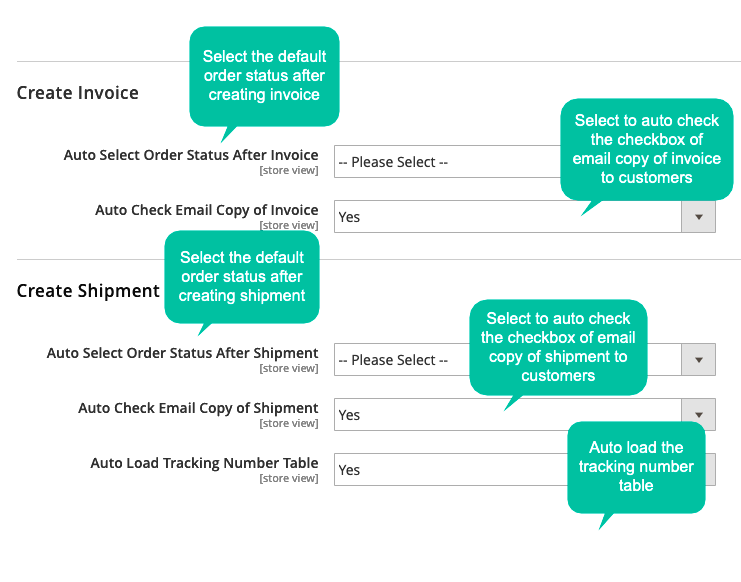 There are 5 actions including Change Order Status, Create Invoice, Create Shipment, Create Invoice and Shipment and Add Order Comments. Store admins can take any action for a number of orders at the same time with ease. filter_drama I only would like to apply this function to only orders at the same status. How can I do? 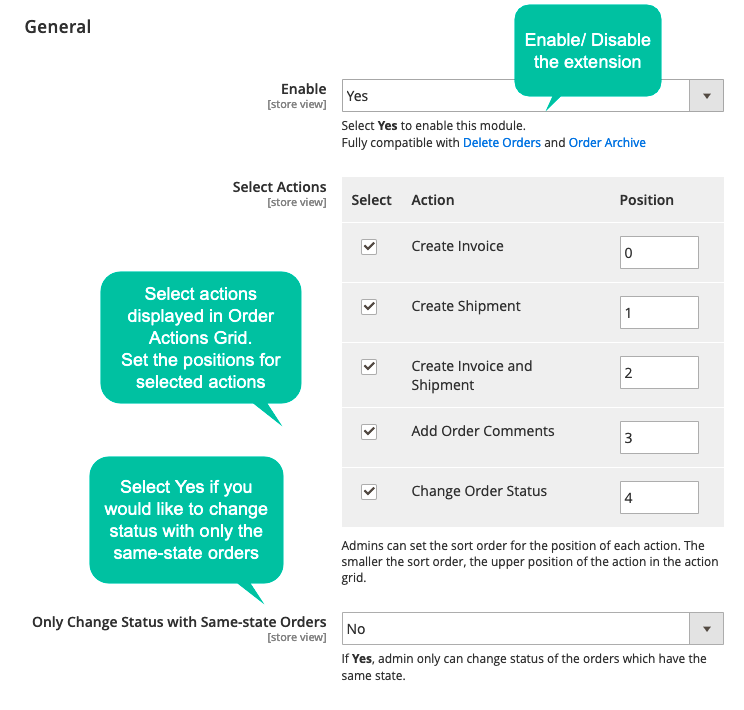 From the admin backend, please enable the section “ Only change status for same-state orders”. filter_drama Do the customers get notified? 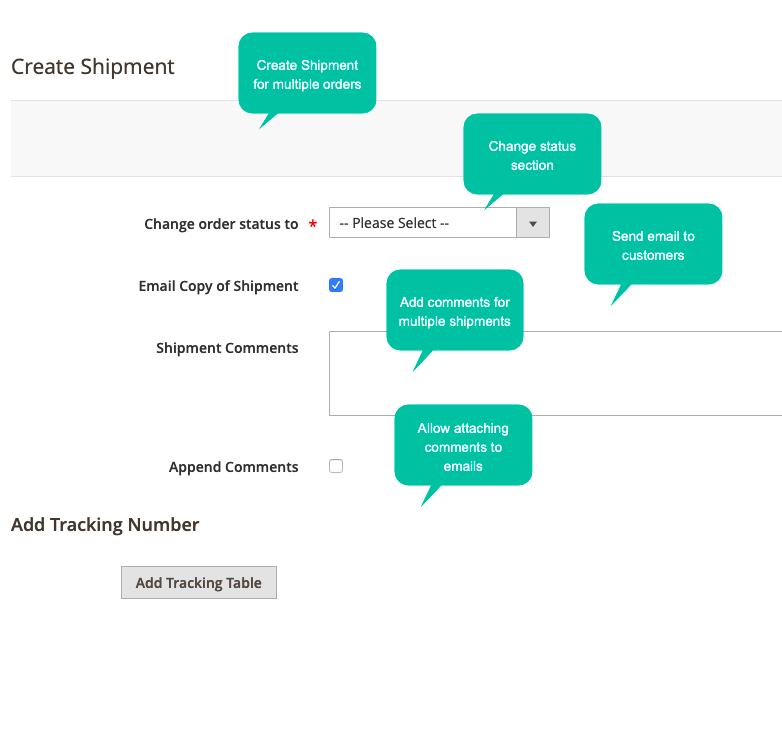 Yes, when you create invoices or shipments, you just need to click on “Send Email to Customer” so any updates will be updated to customers instantly. filter_drama Can I add multiple tracking numbers to various orders at the same time? Yes, definitely. At the actions of Create Shipment or Create Invoice and Shipment, you just need to click on “Add Tracking Number” and process. filter_drama Can I select the default order status after creating an invoice/ shipment? Yes, you totally can. 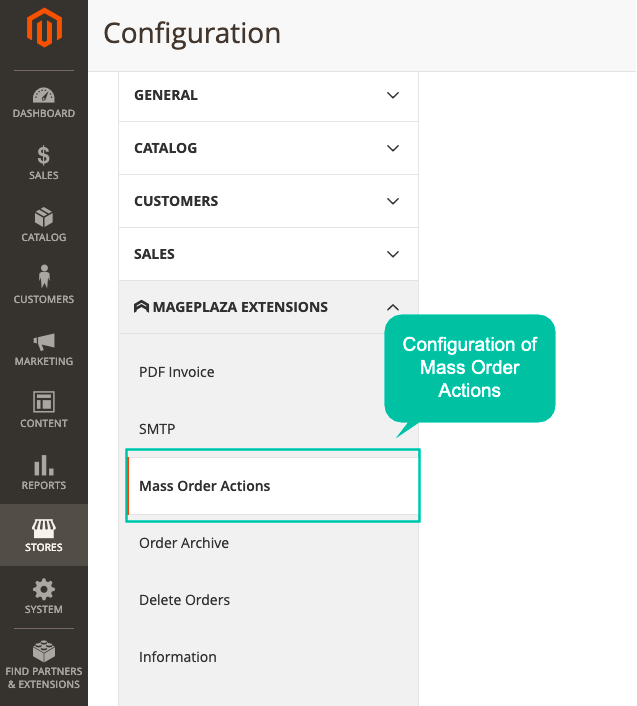 You can do this at the Configuration section of Mass Order Actions at the admin backend. filter_drama Can I select to display specific actions and set the position for them at the action grid? Yes, definitely. At the admin backend, you can select the actions you want and set a number for each action’s position.